I am responding directly to your request for a site Engineer STR construction. As an accomplished site engineer I would bring my exceptional analytical skills and strong computer software abilities to your organization to allow you to continue your success. In my current position as a Site Engineer for surveying work sites prior to the commencement of a job and creating a detailed report for project management. I have exceptional managerial and organizational skill that allows me to efficiently use a team of experts to get the job done. I have also a keen dedication to meeting deadlines and getting a project started on time. I have set up the three largest municipal projects in the area over the past five years. I can use my presentation and communication skills to make sure that each project principal has the information they need. 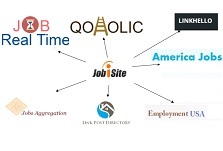 My professional experience and track record make me the ideal site Engineer candidate for your company. I look forward to discussing my qualifications with you and setting up a personal interview at your convenience.